ESA’s IXV Splashes Down After Successful Maiden Flight. 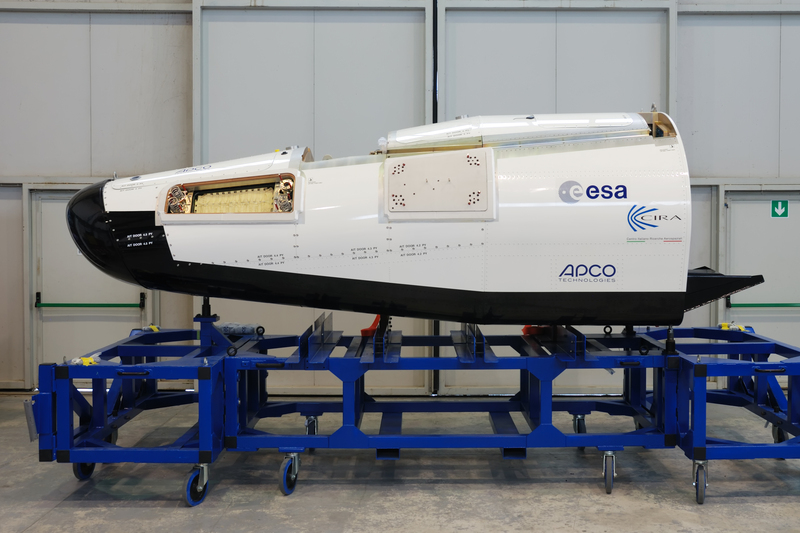 The European Space Agency’s Intermediate eXperimental Vehicle (IXV) is an interesting platform, ostensibly sharing some inspiration from the United States Air Force’s X-37B but with a very different purpose in mind. The IXV is set to be more of a general purpose craft, one that’s capable of testing new space technologies and running experiments that might not otherwise be feasible. It’s also set to be ESA’s first fully automated craft that’s capable of re-entry, an incredible technological feat that will inevitably find its way into other craft around the world. Today marks the completion of the IXV’s maiden flight, completing a sub-orbital journey that was, by all accounts, wildly successful. This flight was meant to be conducted towards the end of last year but was delayed due to the novel launch profile that the IXV flight required, something which the launch system wasn’t typically used for. The mission profile remained the same however, serving as a shakedown of all the key systems as well as providing a wealth of flight data around how all the systems functioned during the flight. This included things such as the automated guidance system, avionics and the thermal shielding that coats the bottom of the craft. The total flight time was approximately 100 minutes with the craft making a parachute assisted landing in the Pacific Ocean where it was retrieved by a recovery craft (pictured above). Whilst the IXV platform is likely to see many more launches in the future it’s actually a stepping stone between a previous craft, the Atmospheric Reentry Demonstrator (ARD), and a future space plane called the Program for Reusable In-orbit Demonstrator in Europe (PRIDE). The ultimate goal of this program is to develop a fully reusable craft that the ESA can use for its missions in space and judging by the design of the IXV it’s a safe bet that it will likely end up looking something like the Space Shuttle. The IXV will never take human passengers to orbit, it’s simply too small to accomplish that feat, however much of the technology used to create it could be easily repurposed to a man rated craft. I think the ESA has the right approach when it comes to developing these craft, opting for smaller, purpose built craft rather than a jack-of-all trades type which, as we’ve seen in the past, often results in complexity and cost. The total cost of the IXV craft (excluding the launcher) came out to a total of $170 million which is actually cheaper than the X-37B by a small margin. It will be interesting to see if the ESA gets as much use out of their IXV though as whilst it’s a reusable craft I haven’t heard talk of any further flights being planned anytime soon. It’s great to see multiple nations pursuing novel ways of travelling to and from space as the increasing number of options means that there’s more and more opportunities for us to do work out there in the infinite void. The IXV might not become the iconic craft that it emulates but it will hopefully be the platform that enables the ESA to extend their capabilities far beyond their current station. The next few years are going to be ones of envelope pushing for the ESA and I, for one, am excited to see what they can accomplish. 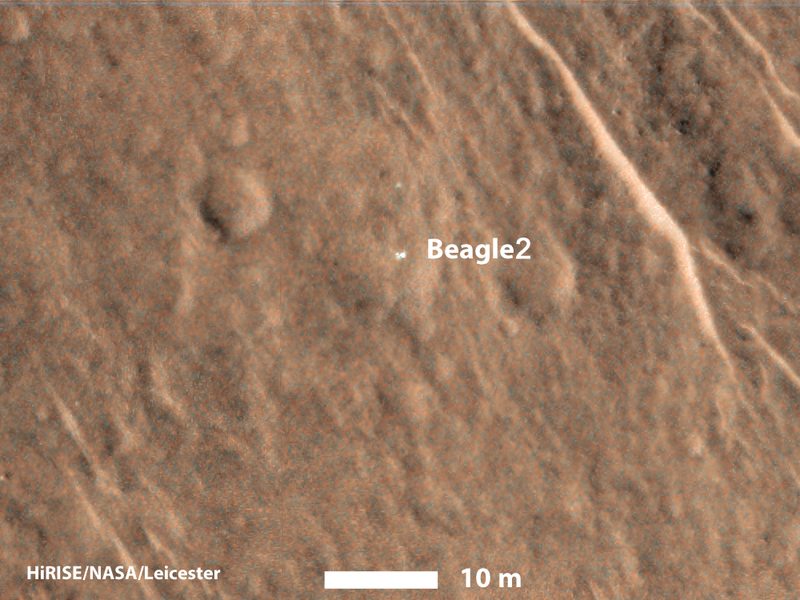 Beagle 2 Found on Mars after 11 Years. The Mars Curse is the term used to describe the inordinately high failure rate for missions to our red celestial sister, particularly those that dare to touch the surface. It’s an inherently complicated mission as there are innumerable things that need to be taken into account in order to get something on the surface and a problem with any one of the systems can result in a total mission failure. One such mission that fell prey to this was the European Space Agency’s Beagle 2, a small lander that hitched a ride with the Mars Express craft all the way back in 2003. Shortly after it was sent down to the surface contact with the probe was lost and it was long thought it met its end at an unplanned disassembly event. However we’ve recently discovered that it made all the way down and even managed to land safely on the surface. Like the Mars Exploration Rovers Beagle 2 would use the martian atmosphere to shed much of its orbital velocity, protected by its ablative heat shield. Once it approached more manageable speeds it would then deploy its parachutes to begin the final part of its descent, drifting slowly towards the target site. Then, when it was about 200m above the ground, it would deploy airbags around its outer shell to protect it from the impact when it hit the surface. Once on the ground it would then begin unfurling its solar panels and instrumentation, making contact with its parent orbiter once all systems were nominal. However back on that fateful day it never made contact and it was assumed the lander likely destroyed. The information we now have points towards a different story. It appears that pretty much everything went according to plan in terms of descent which, as my very high level description of the process can attest to, is usually the part when things go catastrophically wrong. Instead it appears that Beagle 2 made it all the surface and began the process of deploying its instruments. However from what we can see now (which isn’t much given that the lander is some 2m across and our current resolution is about 0.3m/pixel) it appears that it didn’t manage to unfurl all of its solar panels which would have greatly restricted its ability to gather energy. My untrained eye can see what looks like 2 panels and the instrumentation pod which would leave it with about half the power it was expecting. In my opinion though (which should be taken with a dash of salt since I’m not a rocket scientist) there must have been some damage to other systems, most likely the communications array, which prevented it from making initial contact. I’d assume that there was enough charge for it to complete it’s initial start up activities which should have been enough to make initial contact with the orbiter. Such damage could have occurred at any number of points during the descent and would explain why there was total silence rather than a few blips before it dropped off completely. Of course this is just pure speculation at this point and we’re not likely to have any good answers until we actually visit the site (if that will ever happen, I’m looking at you Mr Musk). Still discovering Beagle 2’s final resting place is a great find for all involved as it shows what went right with the mission and gives us clues as to what went wrong. This information will inform future missions to the red planet and hopefully one day we can write off the Mars curse as simply a lack in our understanding of what is required for a successful interplanetary mission. 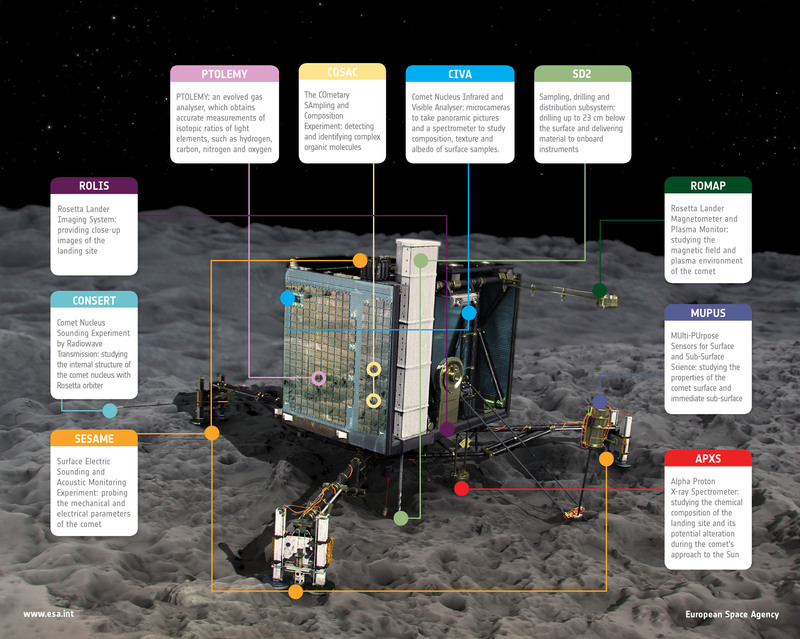 Indeed the bevy of successful NASA missions in the past decade is a testament to this constant, self correcting trial and error process, one that is built on the understanding gleaned from those who’ve come before. Diving Into the Venutian Atmosphere. Venus is probably the most peculiar planet that we have in our solar system. If you were observing it from far away you’d probably think that it was a twin of Earth, and for the most part you’d be right, but we know that it’s nothing like the place we call home. It’s atmosphere is a testament to the devastation that can be wrought by global warming with the surface temperature exceeding 400 degrees. Venus is also the only planet that spins in the opposite (retrograde) direction to every other planet, a mystery that still remains unsolved. Still for all we know about our celestial sister there’s always more to be learned and that’s where the Venus Express comes in. 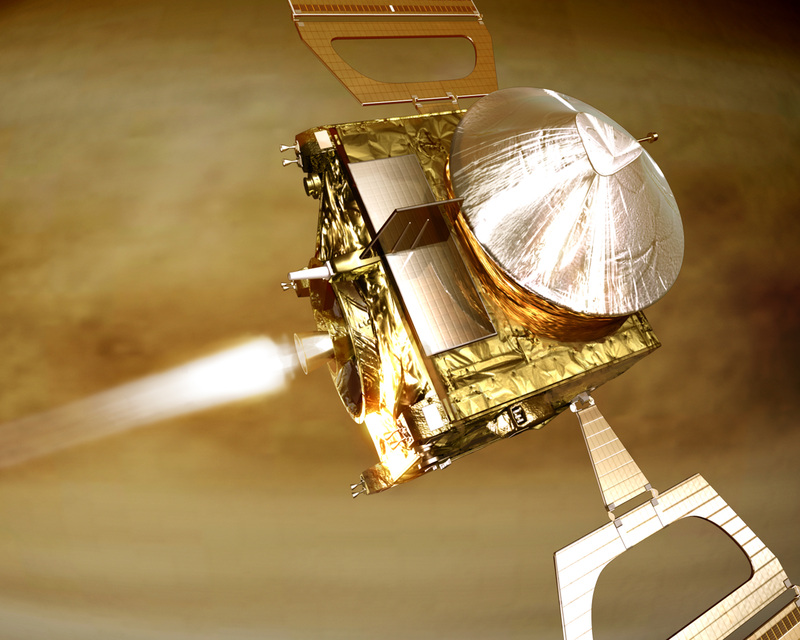 Launched back in 2005 the Venus Express mission took the platform developed for the Mars Express mission and tweaked it for observational use around Venus. The Venus Express’ primary mission was the long term observation of Venus’ atmosphere as well as some limited study of its surface (a rather difficult task considering Venu’s dense atmosphere). It arrived at Venus back in early 2006 and has been sending data back ever since with its primary mission being extended several times since then. However the on board fuel resources are beginning to run low so the scientists controlling the craft proposed a daring idea: do a controlled deep dive into the atmosphere to gather even more detailed information about Venus’ atmosphere. Typically the Venus Express orbits around 250KM above Venus’ surface, a pretty typical height for observational activities. 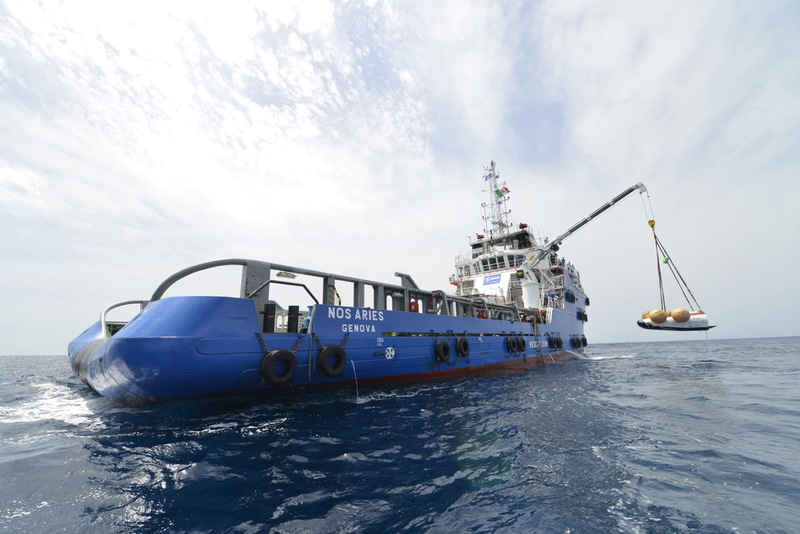 The proposed dive however had the craft diving down to below 150KM, an incredibly low altitude for any craft to attempt. To put it in perspective the “boundary of space” (referred to as the Karman line) is about 100KM above Earth’s surface, putting this craft not too far off that boundary. Considering that Venus’ atmosphere is far more dense than Earth’s the risks you run by diving down that low are increased dramatically as the drag you’ll experience at that height will be far greater. Still, even with all those risks, the proposed dive went ahead last week. The amazing thing about it? The craft survived. The dive brought the craft down to a staggering 130KM above Venus’ surface during which it saw some drastic changes in its operating environment. The atmospheric density increased a thousandfold between the 160KM and 130KM, significantly increasing the drag on the spacecraft. This in turn led to the solar panels experiencing heating over 100 degrees, enough to boil water on them. It’s spent about a month at various low altitudes before the mission team brought it back up out of the cloudy depths, where its orbit will now slowly degrade over time before it re-enters the atmosphere one last time. It’s stuff like this that gets me excited about space and the science we can do in it. I mean we’ve got an almost decade old craft orbiting another planet and we purposefully plunged it down, just in the hopes that we’d get some better data. Not only did it manage to do that but it came back out the other side, still ready and raring to go. If that isn’t a testament to our talents in engineering and orbital mechanics prowess then I don’t know what is.